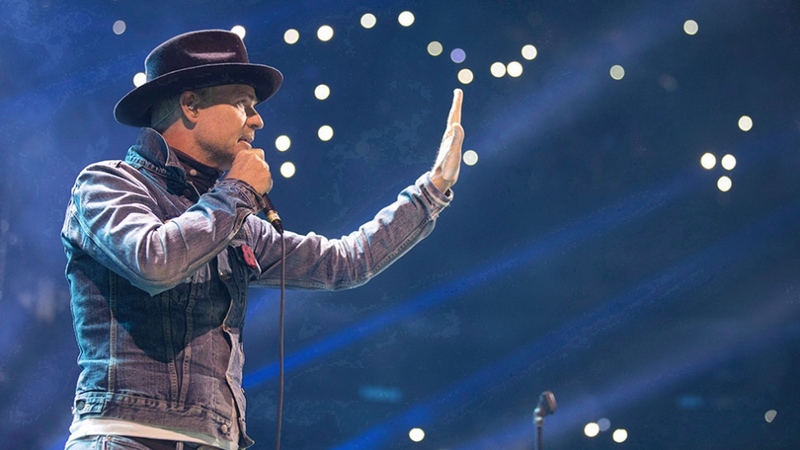 After living with a form of terminal brain cancer for more than a year, Gord Downie, the legendary front man of the Canadian rock band the Tragically Hip, has died at the age of 53. 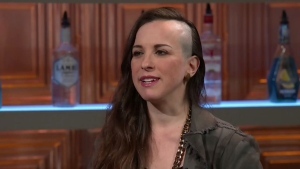 The Canadian musician was diagnosed with glioblastoma, an aggressive type of brain cancer, in December 2015. He leaves behind four children. He also took a moment to express his gratitude towards his friend to reporters gathered in Ottawa. In Downie’s hometown of Kingston, Ont., hundreds gathered in a downtown square to lay flowers, light candles and sign a long sheet of paper expressing condolences. His distinct voice could be heard throughout the streets as shops and restaurants played a steady rotation of Tragically Hip songs in his honour. Kingston city hall was lit up in red and white in Downie’s memory, and local buses displayed their own heartfelt tributes: "Gord, We'll Miss You." In the evening, well-wishers carrying guitars gathered outside city hall to commemorate Downie in song. "But you can't help but think about all the memories, all of the amazing things that he and the rest of the band have done for this community. I often reflect on how it doesn't matter what your musical tastes are, if you're in Kingston, you're a big fan of Gord and the Tragically Hip. They have done so much," he said. Known for his energetic live performances and poetic lyrics, Downie has been a fixture on the Canadian music scene since “the Hip,” as his band is lovingly called by their fans, formed while they were in high school in 1984 in Kingston, Ont. Downie, guitarist Rob Baker, bassist Gord Sinclair, drummer Johnny Fay and guitarist Paul Langlois released their first self-titled EP three years later in 1987. With more than a dozen Tragically Hip studio albums, and several other solo projects, including five studio albums, Downie was considered one of the Canada’s most revered singer-songwriters. In 2005, the Hip was inducted into the Canadian Music Hall of Fame at the Juno Awards Show in Winnipeg, cementing the band’s place in this country’s music history. Although they never reached the same level of fame in the U.S. or elsewhere, the musicians were repeatedly honoured at home with 16 Juno Awards, a star on the Canadian Walk of Fame and a dedicated postage stamp with their image on it. 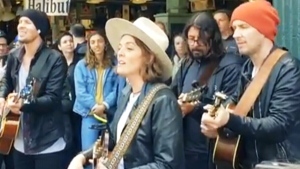 Fans learned of Downie’s sickness in May of last year when the band also announced they would be heading on tour for their 14th studio album “Man Machine Poem,” which many believed would be their last. The 15-show “farewell tour” in the summer of 2016 quickly sold out stadiums. The final stop, in the band’s hometown of Kingston, Ont. in August, was broadcast live across the country. At the 2017 Juno Awards, “Man Machine Poem” took home the award for Rock Album of the Year and the Tragically Hip won Group of the Year for the third time in the band’s history. Downie capitalized on the increased attention during the tour to highlight problems facing Indigenous communities in Canada. He gave a special shout out to Trudeau during the Kingston concert thanking him for his efforts to mend relations with First Nations. "He cares about the people way up North, that we were trained our entire lives to ignore, trained our entire lives to hear not a word of what's going on up there. And what's going on up there ain't good,” he told the crowd. “(But) we're going to get it fixed and we got the guy to do it, to start, to help." Following the tour, the tireless artist released an acclaimed multimedia project called “Secret Path” in October, 2016. The venture included a studio album, graphic novel and animated film for TV, which told the true story of a 12-year-old Indigenous boy named Chanie Wenjack who died from hunger and exposure in 1966, as he was trying to return home after running away from a residential school in northern Ontario. The project won three Junos in April and was nominated for a 2017 Polaris Music Prize. All of the proceeds from “Secret Path” were donated to the University of Manitoba’s National Centre for Truth and Reconciliation. 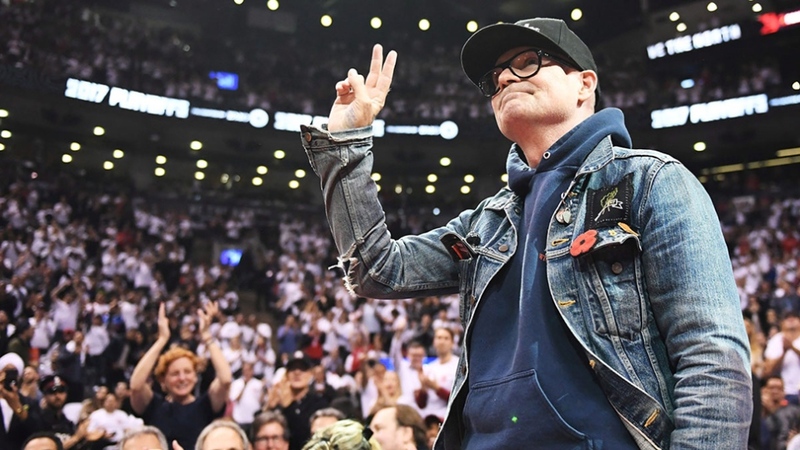 On top of advocacy for Canada’s Indigenous population, Downie also dedicated the final months of his life to raising money for brain cancer research with the Gord Downie Fund at Sunnybrook Hospital in Toronto. The Hip’s “Man Machine Poem” tour raised more than $1 million, according to the Sunnybrook Foundation. In addition to Downie’s contributions to Indigenous causes and brain cancer research, the hardworking musician also devoted much of his time to protecting the environment. He was an outspoken opponent of oil pipelines and voiced concern about projects threatening Canadian waterways, such as protecting Lake Ontario through his work as a board member of the Lake Ontario Waterkeeper charity group. “We are heartbroken by the loss of our board member and friend Gord Downie. His passion and hard work made each of us better. Our thoughts are with his family at this difficult time,” the organization said in a statement posted to Facebook on Wednesday. 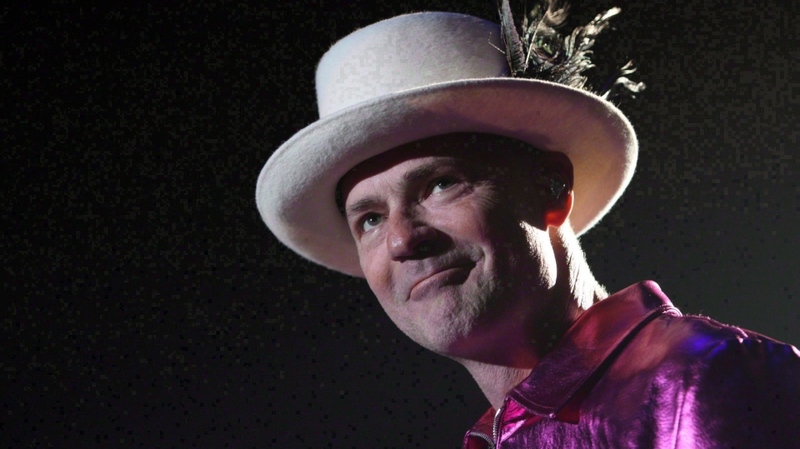 Fans in mourning may find comfort in the upcoming release of 23 new original songs by Downie. His solo album “Introduce Yerself” with collaborator Kevin Drew is scheduled to be released Oct. 27. The tracks were recorded in January and February of 2017, according to Downie’s website. Downie’s family thanked the hospital staff that cared for him, his bandmates, management team, friends, and supporters for the love they gave him throughout his life. “Those tender offerings touched his heart and he takes them with him now as he walks among the stars,” his family said in the statement. Gord Downie, the lead singer of the Tragically Hip, died on Oct. 17, 2017.